* Bassist and Washington University faculty member Paul Steinbeck - author of Message To Our Folks, a history of the Art Ensemble of Chicago - has received the 2018 Steve Larson Award for Jazz Scholarship from the Society for Music Theory's Jazz Interest Group. 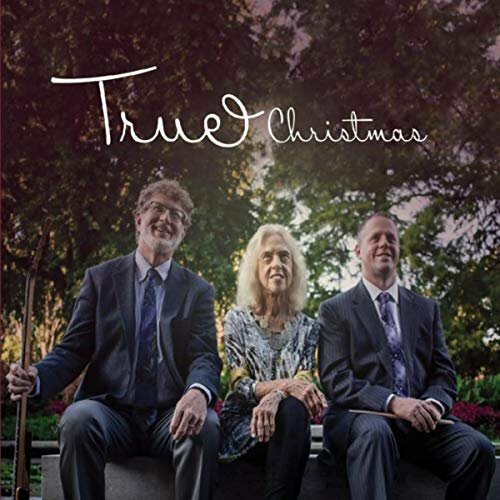 * Pianist Carolbeth True and Two Times True have released a new album for the holidays called True Christmas. The album (pictured) features True's original arrangements of 14 favorite seasonal songs, and is on sale now as a digital download, with CDs available soon. * Keyboard player David Grelle was the subject of a feature on the newscast of local NBC affiliate KSDK. Grelle and his group, the Playadors, perform tonight and tomorrow night at Jazz St. Louis. * This weekend's homecoming of singer Kate McGrath, the St. Louis expat whose show "Aunt of The Year" is a sell-out tonight at the Gaslight Cabaret Festival, was the subject of an item by Post-Dispatch columnist Joe Holleman. * An exhibit of visual art created by trumpeter Miles Davis opened this week at Jackson State University in Jackson, MI. The exhibit, which features 15 of Davis' paintings and photos, continues through November 30. * Keyboardist and Metro East native David Garfield was interviewed on the Inside Musicast podcast.